Báiki: the North American Sami Journal is a major English-language source of information about Sami arts, literature, history, spirituality, and environmental concerns. 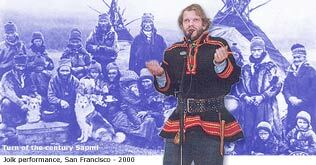 It also covers news of North American Sami community events. "Báiki" [bah-hee-kee] is the nomadic reindeer-herding society's word for cultural identity and survival, "the home that lives in the heart." The beautifully illustrated 28-page biannual publication began in 1991 and is now in its 22nd issue.